I’m reviewing every episode of AfterMASH, in original broadcast order, and asking fans to add their memories and opinions. Two kinds of gambling: Klinger plays the horses and shoots dice hoping to provide for his unborn child; Scannell goes under the knife to remove migrating shrapnel. Klinger resorts to gambling as a method of raising the money he will need to support his soon-to-be-born child. I can’t think of anything to criticize about this episode. The two storylines are both solid and they tie together at the end, which is always nice. Bob Scannell is a delight. I think he’s my favorite character on AfterMASH. Just about every line that comes out of his mouth is hilarious. I enjoyed seeing him in the spotlight here and learning a little about his past. Klinger’s storyline involves money. More specifically, lack of money. He now has three jobs, including a gig as a baker. 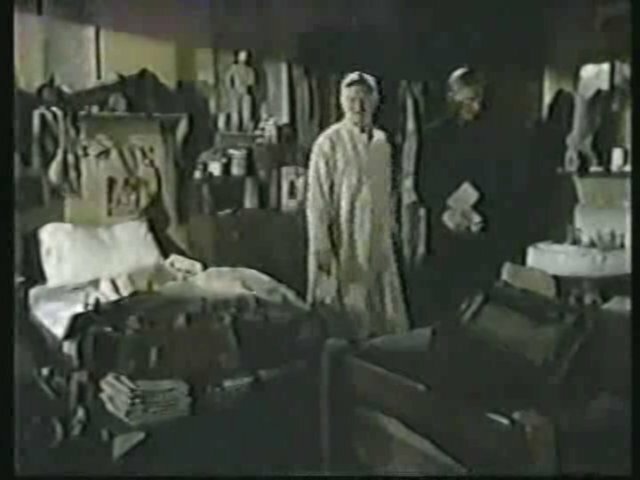 Even though he’s worried about being able to afford a child, Klinger refuses to accept donated clothes from his neighbors, telling Soon-Lee he’ll find the money he needs somewhere. His plan? Gamble on horses and basketball and jai alai. He wants to make $500 for a washer and dryer. Bob Scannell’s room at General General. Bob Scanell’s storyline involves shrapnel. He has some floating around his body and it needs to come out. So, he has to go under the knife again. He asks Father Mulcahy to help update his will. We get to see Bob’s room at General General. The two storylines converge when Klinger stumbles upon a craps game in a bathroom and loses all the money he earned gambling. Bob gives Klinger the $500 he needs. The episode then takes a curious turn with a flashback to Father Mulcahy helping Bob with his will, something that took place only hours earlier, and we learn Bob has thousands of dollars tucked away in an old coffee can. Klinger’s concern about providing for his growing family is a rare continuing plot line that winds through multiple episodes. Devotion to family is an admirable character trait. Not being able to walk away from a scheme is an unfortunate character flaw. Klinger and Soon-Lee thank Bob for his generosity. It’s too bad more episodes of AfterMASH didn’t focus on Bob rather than annoying characters like Alma Cox and Mike D’Angelo. When a supporting character on a TV show is more interesting and amusing than two regular characters, there’s a problem. Alma Cox and Mike D’Angelo do not appear in this episode. Nor does Dr Boyer. Potter tells a nurse how Klinger once found a 300-year-old jaw bone using his nose, something we never saw happen on M*A*S*H.
“Klinger, you survived a Korean winter wearing lace underwear,” Potter says at one point. This is the third and final episode written by Everett Greenbaum and Elliot Reid. Greenbuam wrote 24 episodes of M*A*S*H between 1974 and 1978 with his previous writing partner Jim Fritzell, who died in 1979. 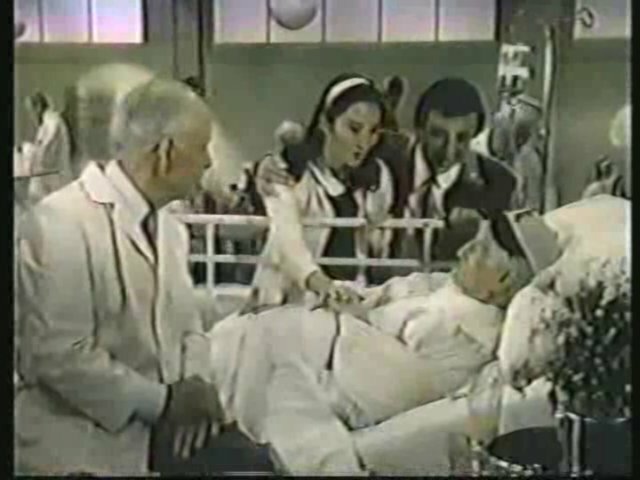 Lois Foraker shows up as Nurse Coleman in this episode. Guest star Tom Kindle, making his fifth appearance on AfterMASH, previously appeared in the M*A*S*H episodes “Blood Brothers” (during Season 9) and “That Darn Kid” (during Season 10). Please. I am a 90 year old Korean War Veteran. While I was there I helped found the 38th Parallel Medical Society (For which I have been invited to SKYPE at their last convention). But the point is, I designed the Society’ Certificate and I distinctly remember an episode where the Colonel puts the original on the wall next to the door. When I say original is that it was only a hand drawn outline of Korea with hand colored emblems of the participating countries. If you want to know more about me look up. MARVIN FRIEDMAN SPEAKS TO KOREA. Thanks.